Disclaimer: We are not financial advisors and this blog should not be considered advice. In this post, I will explore an example of how poor journalism created instability in the emerging market of cryptocurrency. Major and minor publications played a huge role in spreading misinformation that both opponents and proponents spun to artificially deflate and inflate the market. This post will show how only a little bit of press from the right sources, when syndicated in the correct channels, can make a big impact on a market, for better or for worse. The statement from the Indian finance minister merely announced a crack down on its use in illegal activities, which is a reasonable assertion. However, due to some shifty reporting from authoritative publications, and an unfortunate tendency of people to only read headlines, the market went into freefall. These reports sparked a case of fear, uncertainty and doubt (FUD), due to false reporting and its dissemination across the web, and played a huge role in Bitcoin’s fall from $10,300 to $9,512. Does this sound like what Jaitley stated? Were these articles fair assessments of the situation? Was this a case of false reporting to spread FUD? Was it a product of “attention bias,” where the publication wants something to be banned so they look for subconscious cues to sway the public against it (more on this below)? Or was this something entirely different altogether? Interestingly enough, the media can also influence to the opposite effect; false optimistic reporting can lead to markets becoming over-inflated, as investors succumb to the “fear of missing out,” or FOMO. An example of this occurred last December with IOTA coin, where outlets such as Forbes, Reuters and CNBC reported that the IOTA Foundation had partnered with Microsoft, Fujitsu, Bosch, Cisco, and Samsung to deliver Internet of Things (IOT) solutions to cities around the world. The price rocketed 500% in only a week. However, when a little known publication named Squwaker “unearthed” that they were in fact not partnered with these organizations, this sent the price tumbling back down to $3. 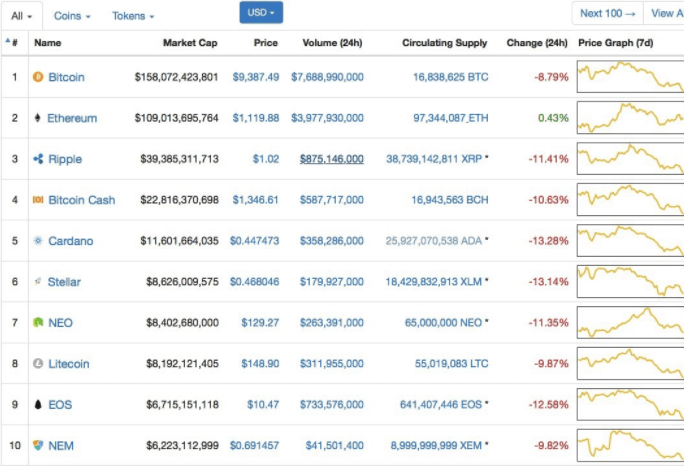 This was spread to multiple blogs, who spread FUD and, as of today, according to CoinMarketCap, IOTA coin sits at just over $1.47. IOTA did and still does maintain partnerships with the aforementioned organizations with the exception of Cisco, and while Squawker merely clarified this position, the damage had already been done. The information had already spread across social media and the blogosphere, and the market has yet to recover. This serves an example of how just a small amount of press, if syndicated in the right channels, can have a large impact on multi-billion dollar markets. Which sociological principles are in play here? Authority bias, FUD, FOMO, and attention bias. In the examples above, the authority was in the publications who had a trusted readership. Just like the participants in “The Milgram Experiment,” who willingly shocked another “participant” to “death” under the authority of a doctor instructing them that the other participant was fine even when there was obvious evidence to the contrary (screaming, pleading for help, etc. ), the readership of Fortune and Quartz spread the misinterpretation across social media, resulting in FUD, spread by social proof and and attention bias. Simply put, according to Wikipedia, “Attentional bias is the tendency for people’s perception to be affected by their recurring thoughts at the time.” This is a primary component in the spreading of FUD, as we will explain later. If you follow cryptocurrencies or emerging technology in general, you will notice a pattern of mainstream aversion to the topic. There is a common consensus that digital currencies are controversial, just like the internet was when it first came out. With controversy comes opponents, and opponents don’t care about facts, they care about pushing their agenda. Reporters are just like anyone else, they have attention bias and will interpret information in whatever fashion they deem to best fit their narrative. If the writers for Quartz and Fortune had been pro-crypto, there is a high probability that they would have never interpreted the stance of the Indian finance minister in the fashion that they did. Whether conscious or not, by interpreting the facts incorrectly, the opponents wielded their authority and used it to spread FUD, which resulted in a significant market dip. Have you ever went out even though you didn’t want to go because you feared you’d miss out on something great? When several publications reported that IOTA had partnerships with powerful companies to build smart cities, the price skyrocketed due to the press it received online from authoritative publications. FOMO is directly linked to social media use — once press leads to social proof, investors feel compelled to act. For better or for worse, the media has a direct influence on the future of emerging markets. Information (or misinformation) from an authoritative publication makes a massive impact on public opinion and decision making, and it is crucial to keep this in mind when seeking press for your brand.